Register: Each and every candidate must register themselves in “Account Registration Form” to fill the Application Form. A system generated Application Form Number will appear on the computer screen. Fill the Application Form: Click on “Login” button and enter your Username, Password, and Application Number. Now fill the personal, academic, and contact details. Upload Photograph and Signature: Candidates have to upload the scanned images of their photograph and signature. Click on browse and select your photograph and signature. After you have attached the images, click on “Upload” button. Confirmation: The filled in Application Form appears and the candidate has two options – Edit or Submit & Go for Payment. If you want to make any change in the application details, click on edit, otherwise go for payment. Select the mode of payment as per your convenience and make the payment to complete UIIT HPU CET 2019 Application. 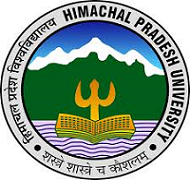 How to Fill UIIT HPU CET 2019 Application Process? Click: Click on “B.Tech (CSE/ IT)” to create a new account to fill the Application Form. Personal Details: Enter all personal details such as Name, Parents Name, Contact Information, Academic details in order to register for the examination. Credential Generation: Once the candidates have registered successfully the User ID/ Registration Number and the Password will be shown in the screen. Qualification Details: Candidates must enter the academic details in order to proceed to the next step. Save: Click on Continue and Save button. Payment: Now the page will be redirected to the payment process where the candidate can pay using Credit Card/ Debit Card/ Net Banking. Submit: After the payment process is complete click on 'Submit'. How to generate challan in UIIT HP CET ? Follow the link below to get the details about generating challan. Follow Link here.